Say focus should shift to qualit­y rather than openin­g new campus­es. 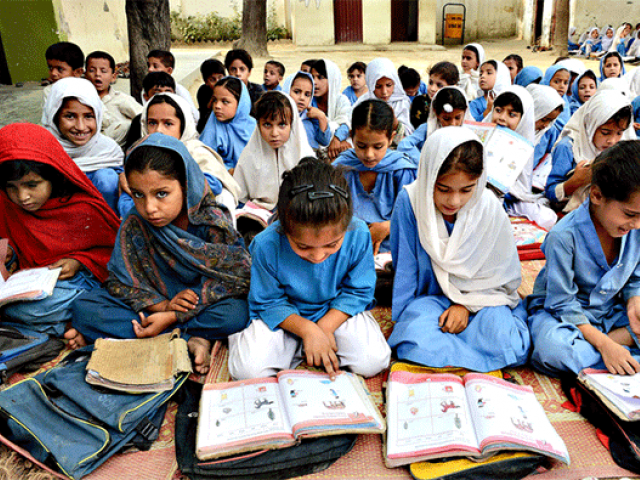 ISLAMABAD: Though the federal government has enhanced allocations for higher education, when adjusted for inflation, real spending was largely unchanged, and development projects have also been reduced, academics and education experts said. The federal government has allocated Rs21.49 billion for the Higher Education Commission for the fiscal year 2016-17 in the Public Sector Development Programme as compared to Rs20.5 billion last year. The number of new development projects has gone down from 57 to 39. The increase of roughly 4.8 per cent is barely over the Finance minister’s recent estimate for inflation in the current fiscal year, which was three per cent. This year, Rs5.43 billion have been earmarked for 39 new projects, while Rs16.06 billion have been allocated for 85 ongoing projects. Out of the total federal allocation of Rs108.9 billion for the education sector, 79 per cent will go to 104 public sector universities. When adjusted for inflation, there is no significant increase in the development budget, which would be spent on research labs, academic blocks, hostels and other missing facilities, establishment of new universities and sub-campuses, strengthening of existing facilities, and human resource development. The amount may be insufficient for meeting the growing needs of 104 public sector universities. The recurring grant provided by the HEC to universities is mostly utilised for day-to-day expenditure, but most spending related to the expansion of facilities and other requirements is met through development schemes. “Although the government has enhanced spending on ongoing and recurring projects…for strengthening of higher education institutions, the increase is insufficient,” said Peshawar University Vice Chancellor Dr Rasool Jan, who is also chairman of the vice chancellors committee. The number of stakeholders sharing funding has increased as the government expands the network of universities, but the allocations have not increased proportionally, he added. Instead of spending on generalised universities, the focus must shift towards specialised varsities, he opined. Other experts said that instead of investing in more new campuses, as evident from the current allocations, the policy should be to strengthen existing varsities and campuses. The higher education policy is in transition currently and the focus is more on building new campuses rather than strengthening exiting ones and producing quality graduates, said Ahmed Ali, a research fellow at I-SAPS.